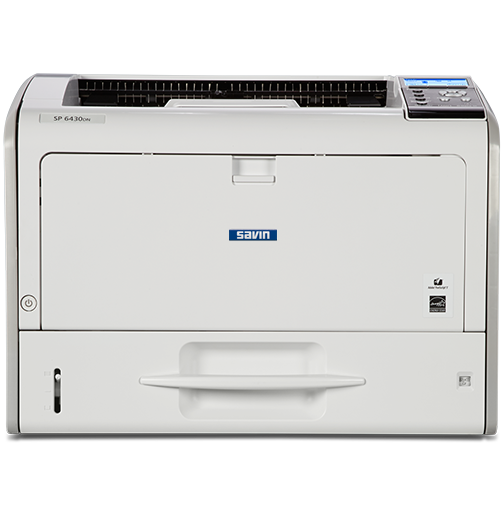 Print both everyday office documents and special projects in-house with the compact, versatile SP 6430DN Black and White Printer. Help your project teams work efficiently without sacrificing quality. When you outsource print projects, you can't share information as quickly. Show off all the fine print in CAD drawings, manufacturing designs, spreadsheets and floor plans with 1200x1200 dpi resolution. Printing shouldn't take up too much time or space, and you'll give the SP 6430DN high marks on both counts. The printer fits on desktops, counters or cabinets ? it's smaller than competitive laser printers thanks to LED print head technology. And, at 38 pages per minute, you can zip through jobs in no time.